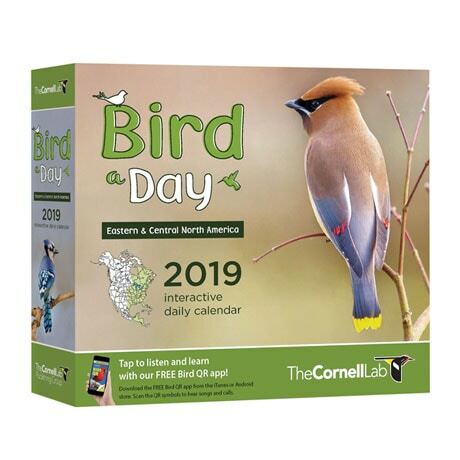 The birder you know will have a terrific close-up encounter with their favorite feathered friends every day thanks to our 2019 Bird a Day Calendars! 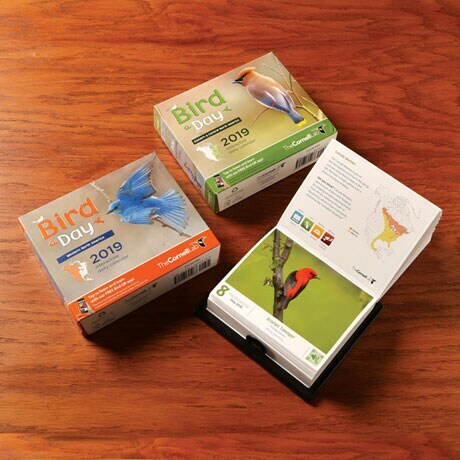 Assembled by the world-famous Cornell Lab of Ornithology, each day's calendar page focuses on a single bird—choose from those native to Eastern and Central North America or Western North America—and includes a colorful photograph, informative trivia, and a breeding/migration map. 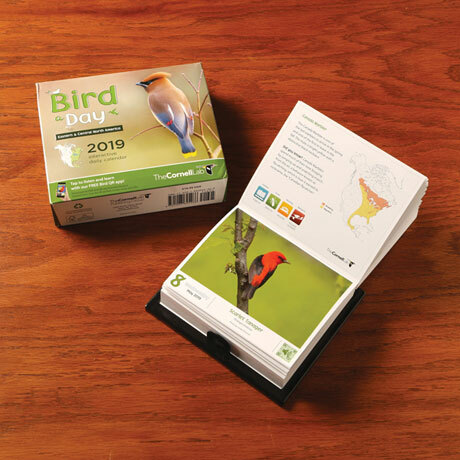 As a bonus, the calendar includes access to Bird QR, a smartphone app that allows you to listen to each featured bird's songs and calls.